Here’s a movie idea. A BMW that’s owned by the chief of police gets purchased by a somewhat suspect hemp farmer who uses it for ‘deliveries’. 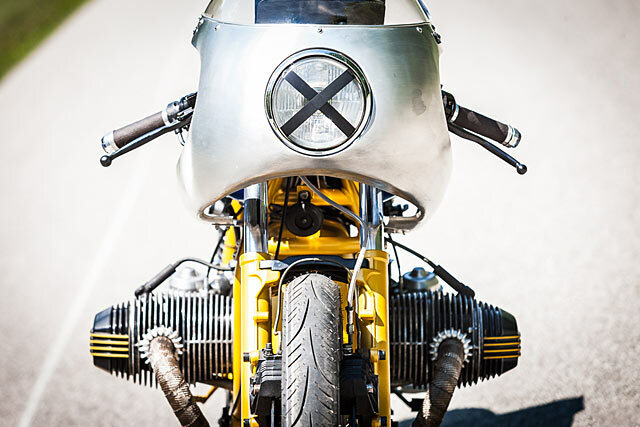 It’s then customised by a bunch of Austrian bike freaks and turned into an endurance racer for a wealthy goldsmith. Too far-fetched to be believable? 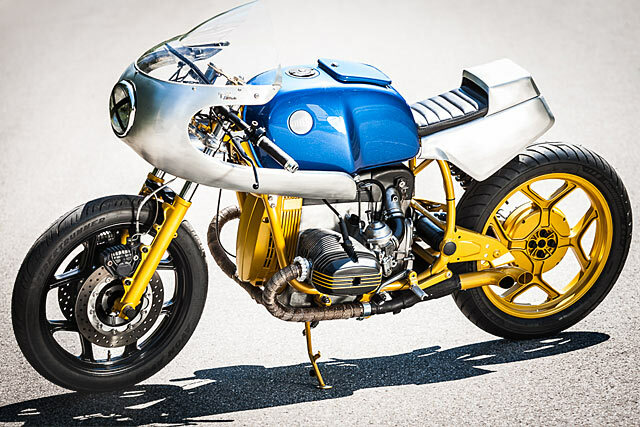 Think again, because that’s the gospel truth when it comes to the history of Titan Motorcycles’ latest build, a BMW R80RT endurance racer. 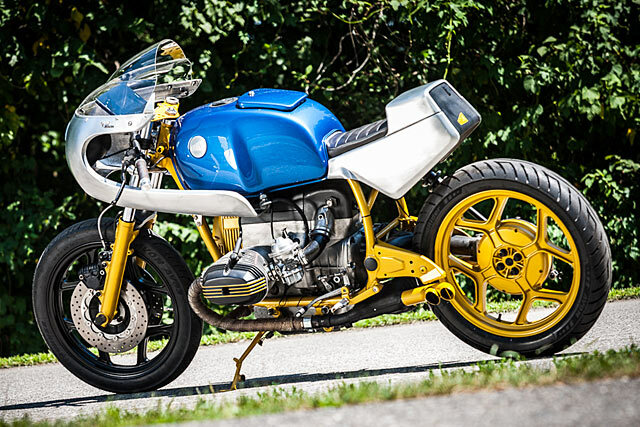 “The bike’s an ‘87 BMW R80 RT,” says Titan’s Michael Siebenhofer. “It’s first owner was someone very high up in the Wuppertal Police near Düsseldorf. Conversely, the Austrian guy we brought it off was a real character. He collects old Horex bikes and rigid frame Harleys; he’s also the CEO of the local hemp farm,” laughs Mike. Talk about going from one extreme to the other. Many builders seem pretty wary of pigeonholing their bikes, but Titan seems to have gone a little further than most to mix things up. 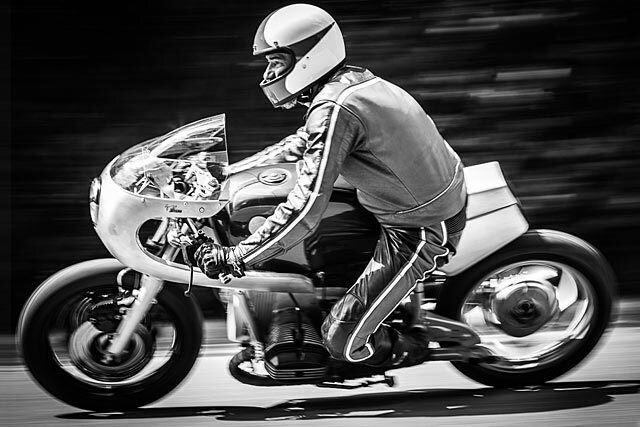 “The bike is heavily influenced by 80s endurance racer designs. But there’s a good amount of cafe racer in there, too. I’d like to think that we have created a new style that we’d call an ‘Enduro Café Racer’. I’ve never seen anyone build a bike in this style before. You could argue that it would match some of the builds from Spain’s XTR Pepo, but I see those as more modern interpretations”. 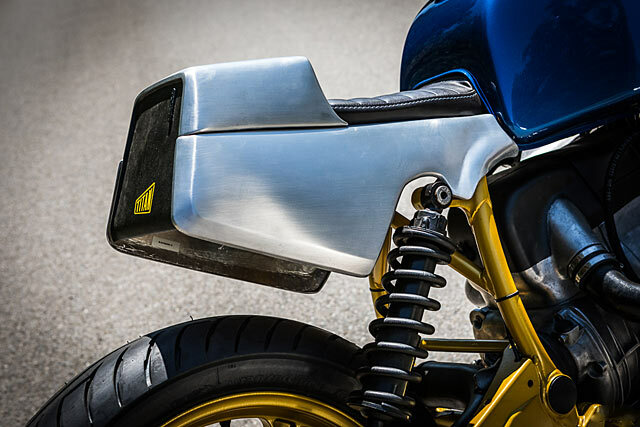 Mike told us that he had long been searching for an opportunity to install a Dunstall-style alloy front fairing that they had purchased a few years ago. “The fairing was built in 2015, so clearly we were thinking of something like this well before that point. 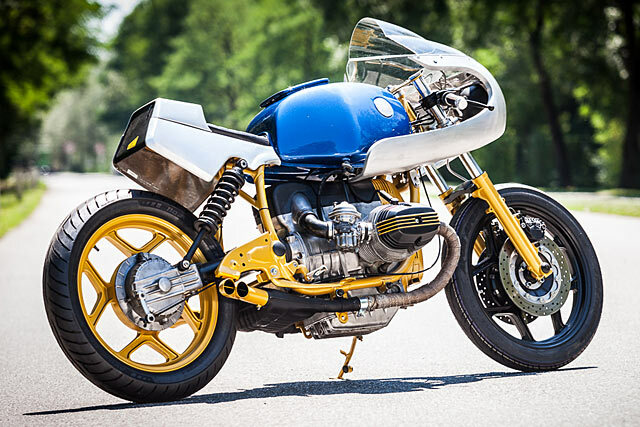 Our love of the 70s and 80s racers with their aggressive tailsections and high bubble visors were one of the main inspirations for this Beemer”. 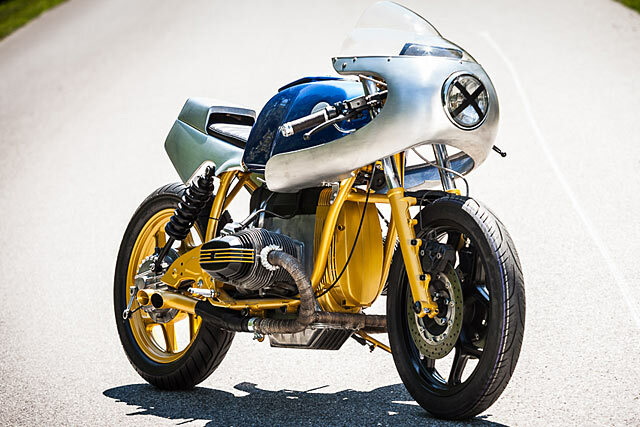 “Once the bike had been dismantled, I tried to find a nice line for the fairing and the clip-ons; it was more than a little challenging. One of the original ideas was to go with a in-house tank like the old 20s velodrome motorbikes with their big leather straps around the frame. Of course, this would have caused a big clash of styles. A 60s faring, a 20s tank and an 80s tail section. Together with the colours we had planned, we might have overdone it a bit”. So he decided to go with a very rough tail section, welded together with high density steel in a ‘roll cage’ design. “In my previous life, I had a few rally contacts. I’ve always wondered about the rough welding styles they used. Now was as good a time as any to try this style instead of the nice, neat TIG welds we’re used to”. Then the frame got sandblasted and powder coated in the gold shade you see here. In the meantime, Mike’s colleague Tom started to refurbish the carbs and the engine. “The different wheel colors is a feature we’ve used from time to time. We also removed the two mufflers and I developed a side-pipe design instead. 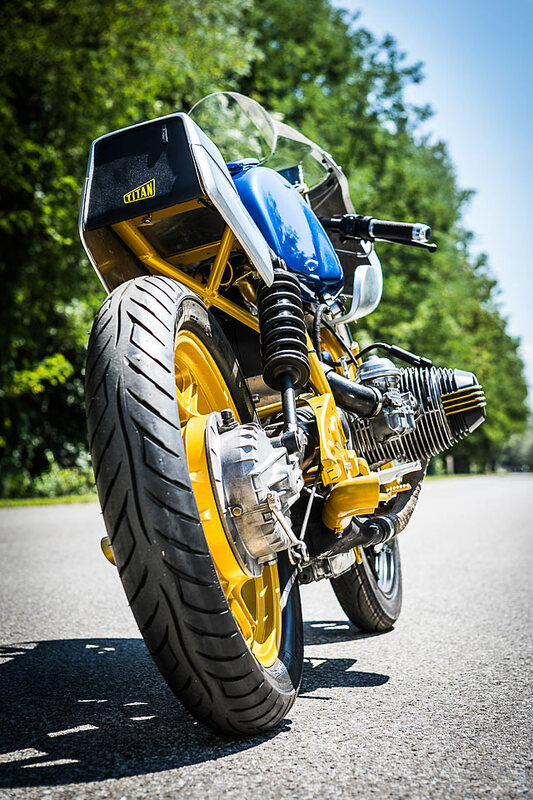 With the exception of the licence plate that was removed for the photos, the bike is still 100% street legal in Austria. “Developing the new electrics was very challenging. Police bikes have a couple of differences to regular bikes, like the regulator or ignition coil. These have to be shielded so they don’t interfere with the bikes CB radio. Also, it was my first time using Motogadget’s m-unit blue. I have to say, we became friends at first sight”. During the process of shaping the bike’s back section, its future owner Gregor dropped by the workshop not knowing what was about to happen. “Clearly he fell in love at first sight, as it took him only a couple of nights before he came back and made his first payment. 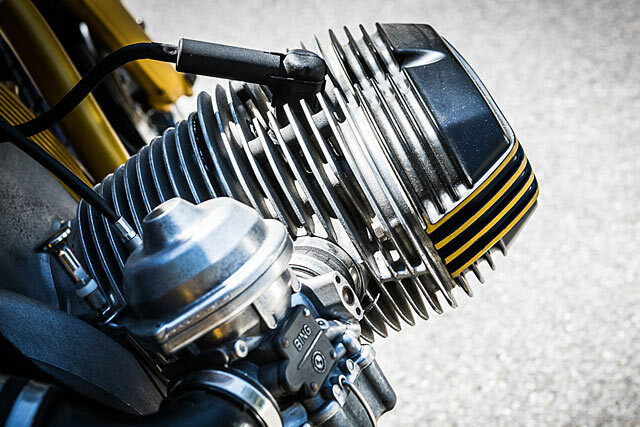 But the bike was half-built and destined for an upcoming show, so he had very little scope for input. What he did insist on was the ability to go two-up should his daughter need a lift home from school. World’s coolest dad? We think so. “We’re also planning to add a reversing camera in the future, we just have to figure out how”. While the beemer has a definite retro look, the lighting and electrics underneath the sheetmetal were always intended be very up to date. 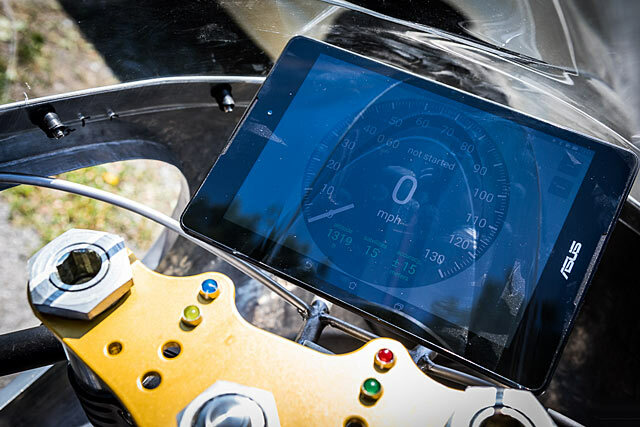 “The Motogadget gear is connected via Bluetooth to a nice new 7″ ASUS tablet in the fairing. Speed is measured via GPS signal, while power measurements, roll angles and G-forces can all be measured via apps. We’re also planning to add a reversing camera in the future, we just have to figure out how”. 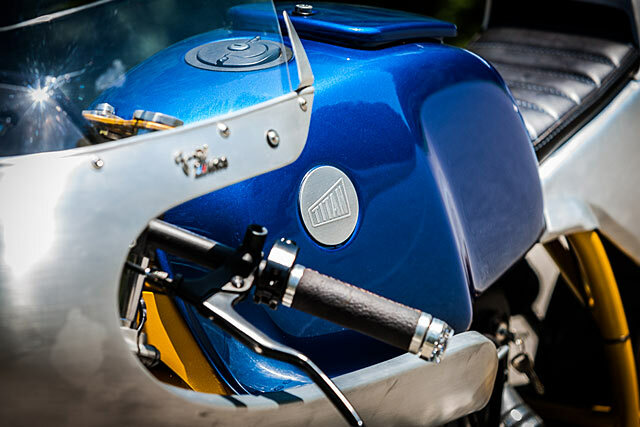 The BMW was revealed at the Club of Newchurch Festival, where it won the ‘Best of Show’ award in the Professional Category.